Consider the situation facing George Washington, as supreme military commander of our nation’s revolutionary troops just prior to Christmas 1876. Washington faced a dilemma. All but a handful of his men's enlistments were expiring on December 31, and he knew that the army would collapse unless he convinced them to stay. George Washington’s Continental Army forces were about to dwindle from high of 20,000 (now 10,000) to less than 3000 due to ending enlistment agreements. The first Battle of Trenton took place on December 26, 1776, after General George Washington's crossing of the Delaware River north of Trenton, New Jersey. 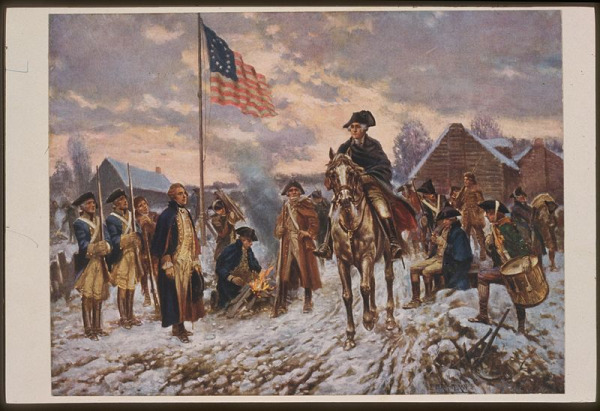 The hazardous crossing in adverse weather made it possible for Washington to lead the main body of the Continental Army against Hessian soldiers garrisoned at Trenton. The Hessians had lowered their guard, thinking they were safe from the American army, and had no long-distance outposts or patrols. After having a Christmas feast, they fell asleep. Washington's forces caught them off guard and, after a short but fierce resistance, most of the Hessians surrendered. Almost two thirds of the 1,500-man garrison was captured, and only a few troops escaped across Assunpink Creek. Despite this victory on the 30th, Washington appealed to his men to stay one month longer for a bounty of ten dollars. According to Wikipedia he asked any men who wanted to volunteer to poise their firelocks, but not a man turned out. Washington then wheeled his horse around and rode in front of the troops, saying "My brave fellows, you have done all I asked you to do, and more than could be reasonably expected; but your country is at stake, your wives, your houses and all that you hold dear. You have worn yourselves out with fatigues and hardships, but we know not how to spare you. If you will consent to stay only one month longer, you will render that service to the cause of liberty and to your country which you probably never can do under any other circumstances." At first no one stepped forward, but then one soldier stepped forward, and he was followed by most of the others, leaving only a few in the original line. On January 1, money from Congress arrived in Trenton and the men were paid. Washington also received a series of resolves from Congress including one that gave Washington powers similar to those of a military dictator. Victory over Hessians followed on January 3rd with victory to win town of Trenton. This successfully increased moral again and regained New Jersey as source for recruiting by capturing it back from British. Imagine what our American History might have been without Washington’s deep resolve, faith, inspiration and commitment? This past week has been a challenge for me. Christmas Eve I awoke at 6:30, proceeded to the bathroom to throw up. I slept in until almost 11. I called the University of Iowa Clinic to inform them of my condition. They advised me to go to the closest Emergency Room and make sure my fluids were sufficient and check for any other possibilities including the flu. My wife and I spent three plus hours going through tests and waiting. The results showed no signs of flu and all my numbers as high as they have been recently. A relief! Christmas Day I awoke feeling good. I may have overdone it by eating normally. On Wednesday I felt miserable again. With a clinic appointment at the University it was a challenging day despite the fact it was probably one of the quicker times through appointments. My numbers checked out again, however Dr. Silverman informed me that despite my excellent numbers they would like to see signs of graft versus host disease. It seems I may be doing too well so far. Perhaps these flu like symptoms are signs of Graft vs. Host. At this point they’re not sure and may introduce some of my donor’s blood if my current conditions don’t continue. If my symptoms continue they plan to go into my stomach with a tube to find out if some signs of it (Graft vs. Host) are occurring. I’ve been fortunate this week to have had a light schedule and the support of my wife. It reminds me of how fortunate I’ve been this year. Going to the hospital reminds me of how difficult my life was for 6 months this year. There’s nothing like feeling sick to make you appreciate being well. It reminded me again of the Stockdale Paradox. “Retain faith that you will prevail in the end, regardless of the difficulties, AND at the same time, confront the most brutal facts of your current reality, whatever they might be.” Washington must certainly have felt this despite the desperate situation he had at Valley Forge. Success breeds success. It can serve to bring complacency. That’s why it’s so critical to make plans and strategize for 2013. Without clarity of your prioritiesleading and lagging metrics to measure and monitor your progress you lose sight of the routine and discipline required to maintain your accomplishments and what it took to get you there. Please don’t lose this opportunity to plan your year. Give your team the resources, clarity and focus they need to achieve success. You’re the leader. 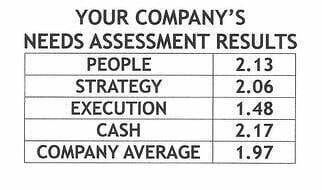 Don’t let yourself and your business down by failing to plan. Take the example of George Washington and Admiral Stockdale. Gird yourself with the necessary commitment to make 2013 great! Do you recall the Fundamental Attribution Error? Will discover why it prevents us from understanding each other better next blog.